At Salvaged Furniture & Home Décor Boutique in Pottstown, artisans Tom and Maria Roberts breathe new life into reclaimed vintage furniture. 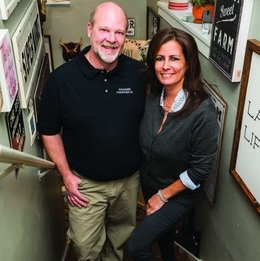 As co-owner of Salvaged Furniture & Home Décor Boutique in Pottstown with her husband, Tom, Maria has gotten used to seeing such visceral reactions to their work. The people who step through their front door appreciate the beauty and craftsmanship of the vintage furniture they have on display, but she says it’s more than that. For some people, their brand of reclaimed and restored furniture tends to stir up joyful memories from the past—nostalgia. Plus, the pieces on display often have a history all their own. With the help of a team of professional pickers, the couple salvages furniture from across the state, including Bucks, Montgomery, Berks and Lancaster counties. Together, Tom and Maria then restore and repaint each piece to create truly distinctive vintage pieces that could serve as the centerpieces of any home. Customers can be confident that each piece in Salvaged Furniture & Home Décor Boutique’s inventory has been well made and artfully restored, according to Tom. Even so, he suggests customers can expect to pay significantly less compared with what they might find in the showrooms of most mass-market furniture stores. Salvaged Furniture & Home Décor Boutique started as something of a hobby, with Maria perfecting the art of painting furniture while she was recovering from an injury. Yard sales, auction houses, flea markets—Tom and Maria tried their hand at every possible option, including renting space in other local furniture stores, all while growing their network of contacts. The volume of orders continued to build, usually peaking each year around the winter holidays. The business truly took off after the couple invested in a box truck for pickups and deliveries. 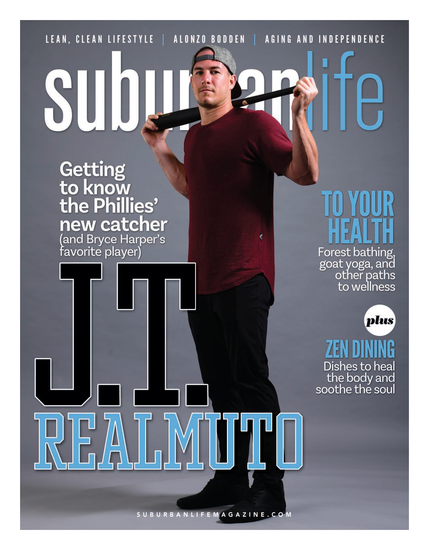 In April 2017, with business booming, Tom and Maria opened their boutique—nearly 1,200 square foot, spread across two floors—in The Shoppes at Pughtown in Pottstown. Since then, the boutique has amassed an extensive inventory of vintage furniture. (They also supply pieces to another shop, Always Never Done, which is located in SalungaLandisvlle, northwest of Lancaster.) If, somehow, a customer finds nothing in the store that suits his or her particular taste, the boutique can refurbish and repaint the customer’s existing furniture. Tom and Maria also offer another option: Commission them to hunt down something specific outside of their current inventory. Likewise, if a customer wants to follow in Maria’s DIY footsteps by repainting their own furniture, Salvaged Furniture & Home Décor Boutique also sells the supplies needed to do the job correctly. In other words, no matter the need as it relates to vintage furniture, the proprietors of Salvaged Furniture & Home Décor Boutique have the skill and expertise to deliver. The boutique is open from 11 a.m. to 4 p.m. Wednesday through Sunday.